I’ve been building and developing websites for over 20 years now. I’ve lost count of how many sites I have done. My guess? Over one thousand…. Sites of all sizes, shapes, goals, running on Windows or Linux. I’ve hand wrote code (and still do, I am in love with PhpStorm), I’ve used lots of different tools, all type of software programs and technologies. I once did an entire shopping cart in Flash. I know, I am guilt as charged. But that was 2002! I also wrote from scratch the code and database for a whole eCommerce site that sell custom wheels and tires. Since 2010, I’ve being using WordPress, a lot! When I tell my friends, that are either in the IT industry or not, that I am WP enthusiast now, I see two distinct reactions. I will focus on the group (clients, non tech savvy people) that are either frustrated and/or have misconception about this powerful CMS (Content Management System). The “major problem” as he stated and I agree 100%, is the fact that WordPress super users, designers, “integrators”, installers, are calling themselves Developers when in fact they are not! Since the human nature, on many people, is to blame others first instead of assuming theirs own responsibilities and/or lack of knowledge, I see very often in the Website Development industry, these professionals blaming the “tool” or programming language, database, web server, in this case, WordPress, for the issues they have/had using it for clients. So, I usually also compare WordPress with a racing car (the other comparison is WordPress with Jiu Jitsu). An amateur driver, could drive it, can even speed up and give the impression that he’s fast. Reality is that a professional car racing driver, not only can go fast and take the most from the vehicle, but also understands its mechanics, physics, materials and see potential issues before they actually happen. To be a real WordPress developer, it requires to already know PHP, MySQL, jQuery, CSS, etc and lots of time to learn WordPress development and to do things the right way. 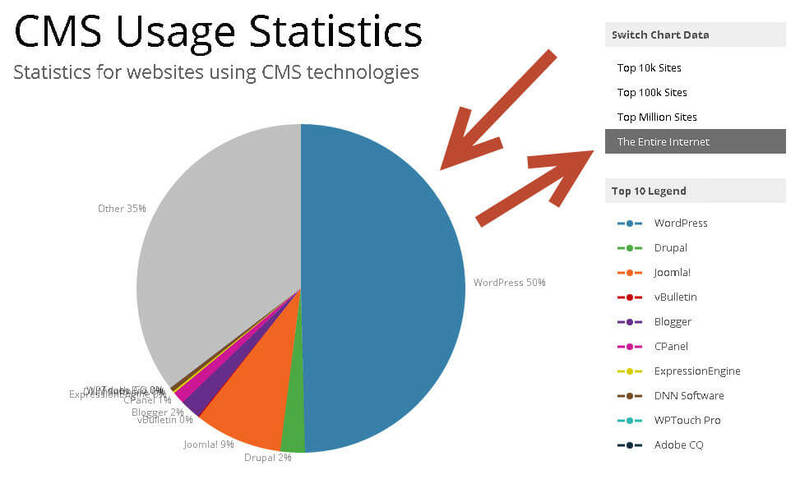 WordPress now runs on 25% of all Websites and has 58% of the CMS market. This number could have been even more, if wasn’t for the major problem above. So, please if you do Websites with WordPress, make sure you define yourself right. Everyone will benefit from that. What’s your opinion? Are you frustrated with WordPress or your “Developer”? Do you have good experiences? Let me know. What are the WordPress essentials? Top 11 factors to consider. So, you installed your WordPress site and now is ready to go next level? Congratulations! These are my top 11 essentials tasks/factors for running WordPress smoothly, avoiding mistakes and be prepared for what is coming ahead. Creating the site (WordPress or not) is just the very start of a journey. You will spend a lot more time on updating and adding content. So here a few tips I wrote inspired on today’s episode at WpWaterCooler. Remember that if you decided to start a site and use WordPress you are bringing some responsibilities upon yourself, specially if you do not have the required skills and/or time to learn. But don’t be afraid of trying, testing, playing with WordPress. There’s a reason this CMS is the most popular today and since there are so many people using it, chances are there will be always someone that could help you. There are a lot of inexpensive hosting plans on the internet. But if you do not have the technical knowledge, I recommend you going to a Managed WordPress plan. It includes support and are a bit more expensive then traditional shared hosting because includes extra services, saves you future headaches and saves your time figuring out more complex stuff like server updates, security, backups and configurations. Recently Godaddy have improved a lot the quality of theirs WordPress Hosting and includes a sidekick plugin that is really helpful for beginners (don’t be fooled by theirs 3 stars average review, they are much better now to help you with the first steps). To start, use a simple WordPress theme to learn how they work. Premium themes will require you to learn features and read documentation. If you decide to buy a theme make sure you check how/what the theme support is before buying it and know that it will have a chance for the theme to be discontinued. Also, if you will have to do a lot of heavy lifting on the cosmetics (CSS) and and/or adding custom features, it’s recommended to use a child theme. On the very first item I said Hosting Backup. But sometimes it’s an expensive option for shared hosting and they may not do real-time backups. Meaning you can run the backup task as you wish. There are pretty good backup plugins (both free and paid). Today over 777 plugins have backup capabilities, I found this list of free backup plugins to be very reliable. It may sound complicated but can really help you down the line. If you by any chance (very high if you are a beginner) do something wrong and break your site, you will love to be capable of restoring it to a previous working state. Do you want to know how many people are visiting your site? Where they are from? How did they found your site? What pages/posts are the most popular? Then you must install a Google Analytics plugin or check if your theme has support to add the Google Analytics code to the header or footer of your site. By default pretty URLs (permalinks) aren’t enabled. You should go there and enable it because together with page/post titles and h1 tags they are part of SEO 101 (That will make easier for people to find your content). Remember that your site’s homepage isn’t actually the start pointing for majority of your visitors. They use Google and making sure you look good on search results will help a lot. I use and recommend Yoast’s SEO plugin. The free version is pretty powerful and if you want to go deeper should consider the pro version. Are you planning on do a personal project (without testing a lot of things) or a business project? For business sites I highly recommend a development site. This can be a bit daunting and overwhelming at the beginning but highly recommended to develop new features, test plugins and make customizations. There are tools and plugins that help you easily create a copy of your own site to run on your computer. Desktop Server, MAMP or XAMPP will be required to have your site running locally and my favorite tool to duplicate sites is BackupBuddy, but there are other plugins to help duplicate your site easily (see item 3 above). “When the student is ready the teacher will appear”. This quote is 130 years old and still describes very well today’s modus operandi on learning online. I would recommend you join learning communities (paid like Lynda, TreeHouse or free like Facebook groups). Make sure you Google your problem (with different terms if needed) and learn netiquette before posting on these communities. Also, search inside the communities to make sure the question wasn’t asked before. Great majority of technical issues today are already solved by someone else that had the same problem before. WordPress Meetups and WordCamps are great way to learn and network. 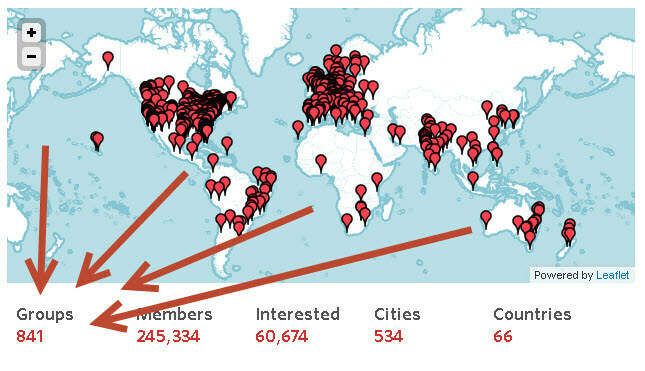 There are over 800 WordPress Meetup groups today and most definitely one near you. Another main reason I recommended item 07 (development site) is to test updates. WordPress core and plugins are constantly updated. This year (2015) alone more than a dozen times. Sometimes plugins conflicts with other plugins and themes, when that happen you will need to figure it out and fix the problem. When you get a blank page on WordPress it’s usually because of an error. To see what the error is, you must enable debug. Make sure also you learn how to read error logs and if you turn debug on production site, after fix the problem turn back off. One of the most annoying things is to get lots of spamming comments. This article on reducing spam is a must read. Gracie Brazilian Jiu Jitsu and WordPress. What these two have in common? I am a huge enthusiast of Gracie Jiu Jitsu. Even thou I haven’t practiced much lately, Brazilian Jiu Jitsu is a lot more than just a martial art to me. It’s truly way of life. My dad was a great chess player, won many championships and introduced me first to Judo when I was 7 years old. Then, later on, one of his chess friend’s son, started teaching classes of Jiu Jitsu. I was about 14 years old when I had my first contact with the “Arte Suave” (Gentle Technique, Jiu Jitsu in english). My first instructor/master was Luiz Filho in Fortaleza, Brazil. Then, I felt in love with it. I was amused by how, me, a 15 years old boy, could submit a much stronger and bigger opponents by just using the right technique. In 2005, I had my first contact with WordPress. I have to admit, I wasn’t impressed by it. My first reaction was “I can do that myself, just need to create a database table for this and that, query it and it’s done”. By that time I already had 12 years experience doing websites, majority of them coded from scratch or using a framework. Then, in 2011, one of my clients requested a proposal, and pointed out 4 of theirs competitors. As usual, I took notes and went back to my office to analyze theirs competition. To my surprise all of them were using WordPress. I questioned myself: “How come a blog tool been used to create corporate/real estate sites?”. I realized that WordPress had then evolved a lot. I’ve made a big mistake of ignoring it. WordPress is the best Free Website Builder tool and now, I try to make up for lost time. I’ve read many books on the subject, if you want really go to the next level, I recommend these two (aff. links). And many others WordPress Enthusiasts, Companies and Consultants. 95% of the people and companies mentioned above I’ve met first time by going to WordPress Meetups and WordCamps. If you are a blogger, web designer, developer, agency, has any relationship or interest in WordPress, I highly recommend you going to these events. It positively surprises me every time I go, either by meeting super interesting, inspiring people, like Kimberly Castleberry (who runs an amazing online learning community), or by learning something new and fascinating about WordPress, or just because you can network and talk to people that are very successful and are willing to give back to the WordPress community. So, what’s the relationship between Brazilian Jiu Jitsu and WordPress? Last week, Master Gui Valente from Gracie Miami Academy, told me they upgraded theirs site from a custom made CMS to WordPress. I was very glad, since I now advocate and I am also a huge WP enthusiast. I’ve told him many times how he, the academy and his students could benefit from using WordPress. Then, I told him: “WordPress is the Jiu-Jitsu of World Wide Web“. The quote above, from Grand Master Helio Gracie, “The Jiu Jitsu I created was designed to give the weak ones a chance to face the heavy and strong”, could easily be translated to “WordPress was created to give the small, non-technical users a chance to easily write and face the big internet players”. Do you practice Brazilian Jiu Jitsu? Do you use WordPress? I would love to read your comments and feedback. I’ve been working on a slide presentation I would like to present at a local WooCommerce Meetup. Then I started putting together some of the resources I have been collecting for while. Infographics, ebooks, articles, etc. This one below is really valuable. One of the best so far. It’s a bit old so it doesn’t mention the mobile factor but it’s still is quite comprehensive: “Google’s Ranking Factors“. I am sure if you master these factors you will rank well.